Billionaire Michael Bloomberg announced Sunday, November 18th that he's donating a record $1.8 billion to Johns Hopkins University. The donation is specifically to support student financial aid and made the school's admissions process "forever need-blind." Bloomberg graduated from Johns Hopkins in 1964 with a B.S. in electrical engineering. This donation is believed to be the largest private donation to higher education in the modern era. It is also part of the growing trend to make elite universities affordable and accessible to students from low and middle income families. Tuition for a year at Johns Hopkins is currently about $50,000. Add in fees and room and board and students are looking at $70,000 a year. Bloomberg's donation will enable the Baltimore-based university to remove loans from financial aid packages and expand grants for those who need them for incoming students in the fall of 2019. The donation will also help current undergrads who have taken out federal loans to cover their tuition, housing, and fees. "Our dedicated financial aid endowment was simply too small. Now, as a consequence of Mike Bloomberg's extraordinary gift, we will be fully and permanently need-blind in our admissions and be able to substantially enrich the level of direct assistance we provide to our undergraduate students and their families." 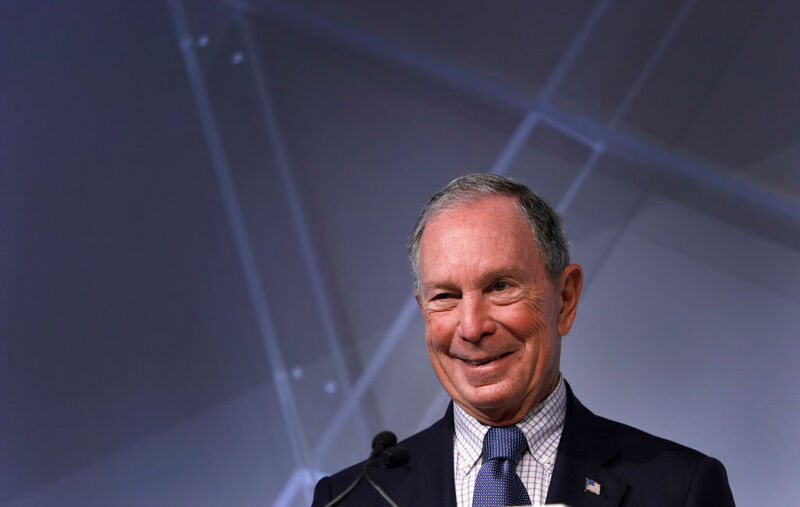 Bloomberg wrote an op-ed in the New York Times explaining that his donation is so that students can attend Johns Hopkins based on merit, not their family's wealth. He wrote: "This will make admissions at Hopkins forever need-blind; finances will never again factor into decisions." Bloomberg's gift will directly impact the student body of Hopkins. The money will not be used to build a building, it will reduce the debt that students graduate with and ensure talented students of merit can attend the university. Direct aid from universities is crucial. The maximum federal Pell Grant only provides $6,095 a year for students in need, less than a tenth of what private schools charge for tuition, fees, and room and board. With all of that figured in, many schools, including Hopkins, charge $70,000 a year. Bloomberg's donation is the latest in a series that started with a $5 donation to Johns Hopkins the year after he graduated. Buffett has chimed in on political matters in the past, and he says he considers himself a bipartisan individual, having voted for both Republicans and Democrats in the past. Bloomberg reportedly dropped $110 million on contributions to Democratic candidates during the 2018 midterms, so it stands to reason he would be ready to cough up at least that much for his own presidential campaign. Billionaire Michael Bloomberg is putting his money where his mouth is. He has pledged to write a check for $4.5 million to cover the United States' financial commitment for this year to the Paris Climate Agreement.